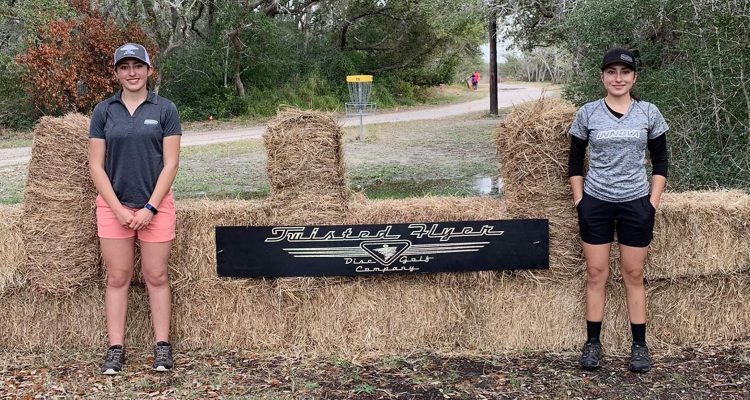 Judging by their Instagram posts from the weekend, Valerie and Alexis Mandujano competed in tough conditions at this past weekend’s BATADGA PDGA B-Tier event in Ingleside, TX. Much of the course was flooded—in one video Alexis wades in ankle deep water for her upshot. In the end, Valerie would take the win—her first in FPO—with Alexis finishing in second. It felt good that, finally, all my hard work is paying off. It’s just another confidence-booster going into another tournament. I played my first tournament of the year yesterday and took first place. Had a blast playing with these ladies ,Congrats to my sister for aceing the last hole 🙌🏽 and thanks to Billy and Ted for everything you did for the event ,as well for the volunteers. Thanks to my family and my parents for all their support and my dad for caddying .Thanks to my sponsor Innova Champion Disc . The Mandujano sisters will compete in the professional women’s division at several big PDGA events this season. If you’re looking for them, aim for the lead card. You can bet they will.